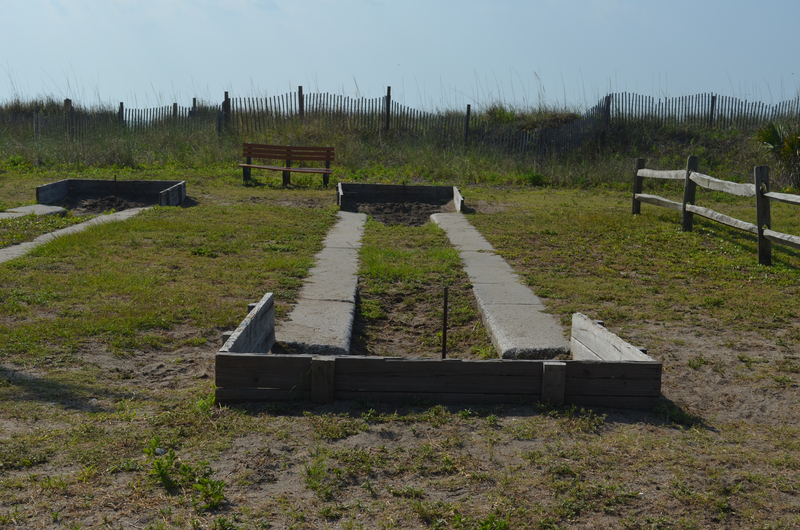 With nearly one mile of oceanfront and the warm Carolina weather guests can enjoy the outdoors year round! 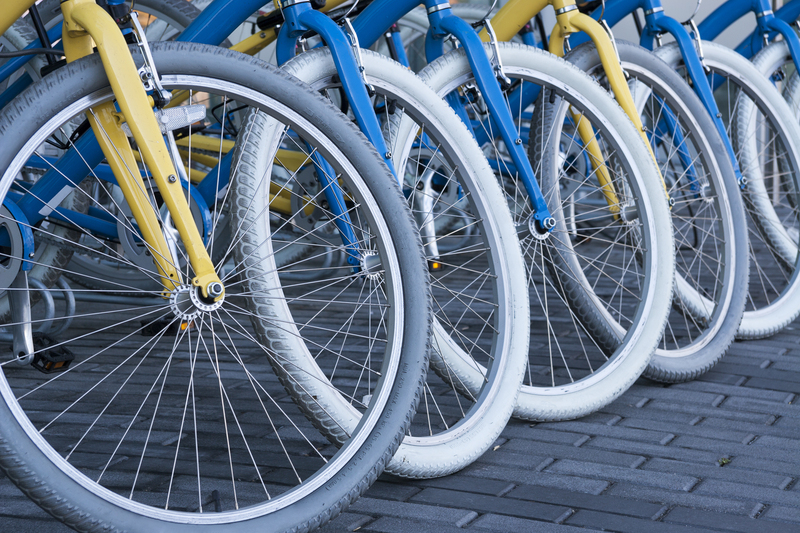 Our outdoor amenities and recreation have something to please all generations in your family. How often can you play oceanfront basketball? 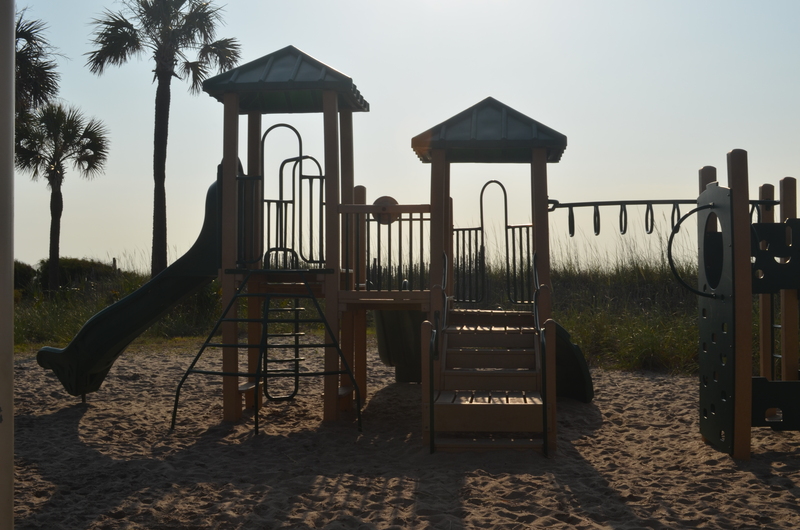 Feel the ocean breeze as your little ones swing and climb, enjoy a morning workout on our beachfront workout stations, or challenge the family in a game of shuffleboard. Ocean Lakes Family Campground features two large oceanfront playgrounds! One is located near the HH Section, the other adjacent to the B Section near the vending machines and the swash. 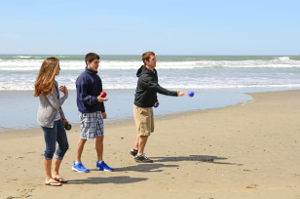 Enjoy the salty ocean breezes and time with your friends and family. Don’t know how to play? 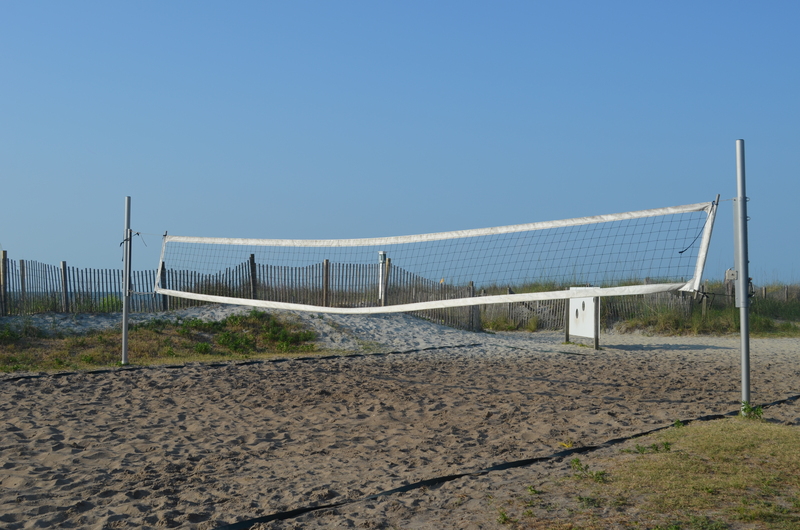 Pick up a brochure with the guidelines in the Recreation Office – sign out the equipment there, too! 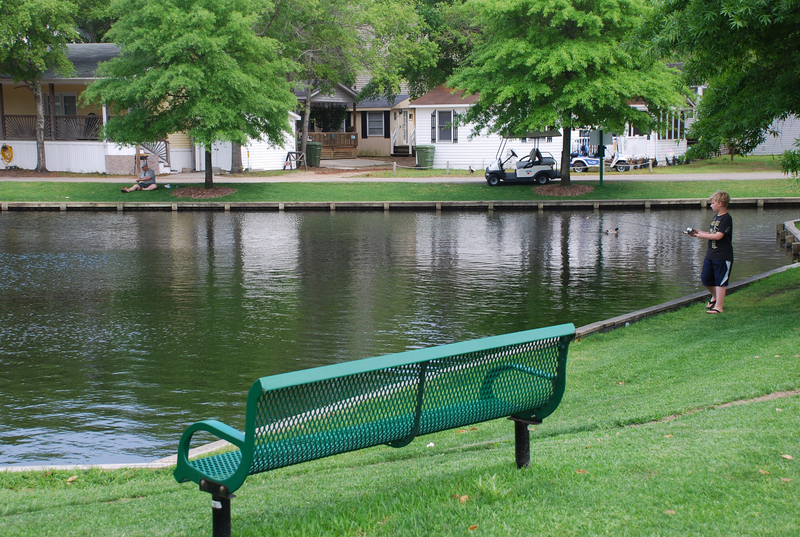 Ocean Lakes Family Campground features eight freshwater lakes and nearly one mile of oceanfront, so pack your tackle box! 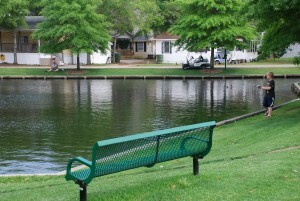 Our lakes our stocked with catfish, bass, brim and carp. 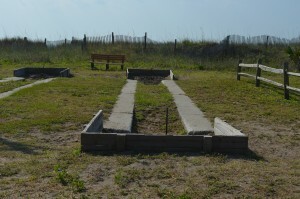 Ocean Lakes Family Campground has several horseshoe pits on the beachfront! 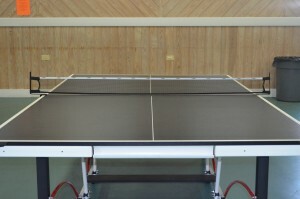 Equipment can be checked out at the Recreation Office. 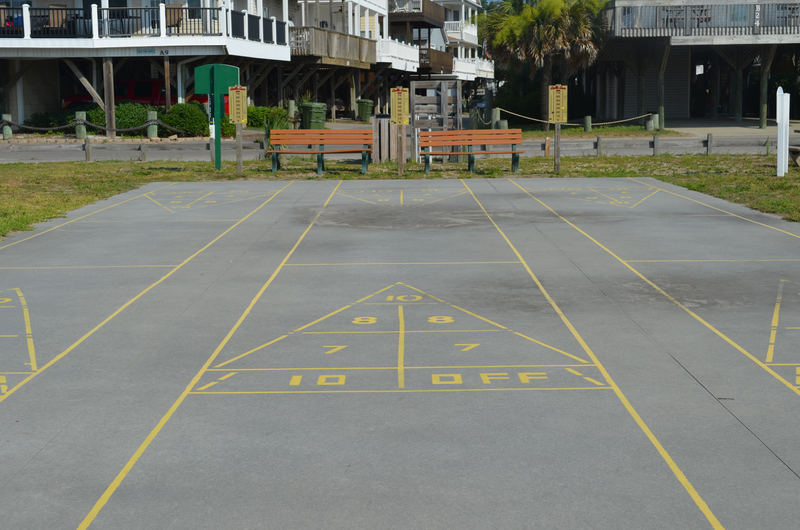 You’ll enjoy the salt air and the Myrtle Beach sunshine on our basketball court! 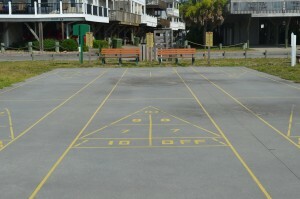 So form your teams or just shoot one on one. 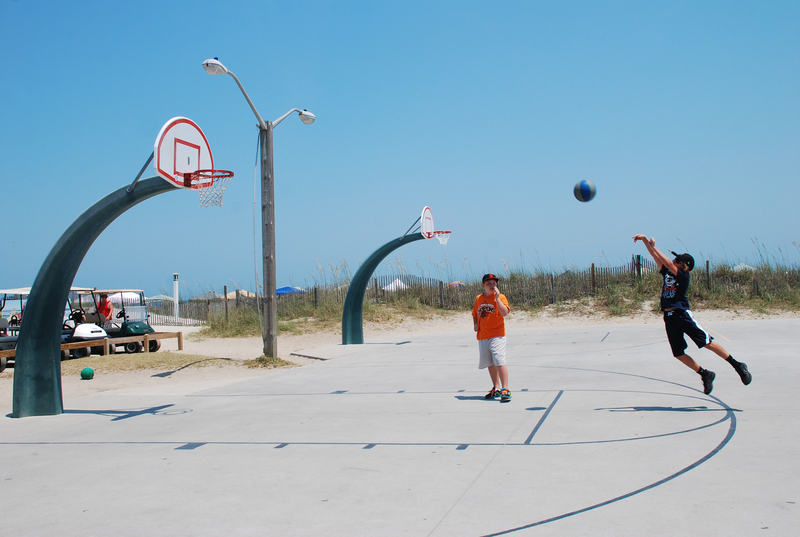 Basketballs are available through the Recreation Office. 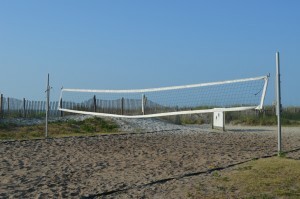 Our oceanfront volleyball court is fun for any guest who wants to play, or just sit in the sand and watch. Sign out the equipment in the Recreation Office. 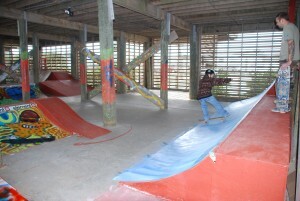 SDU Skate Park! You asked for it – it’s now open! Enjoy the ramp, bars, and concrete you need to have fun – shade, too! 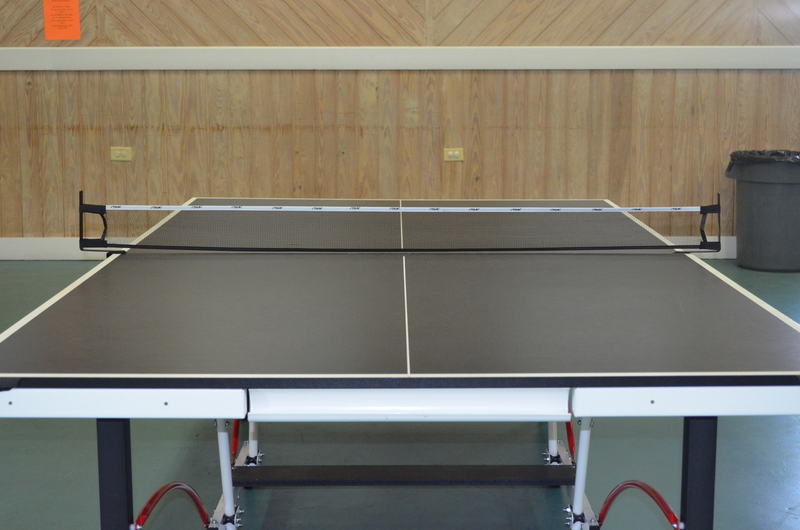 Ocean Lakes Family Campground’s guests of all ages love to take a break from the fun and sun for a game of Ping Pong in the climate controlled Recreation Building. One of the best and most fun ways to see the campground is on a bicycle!